I have been looking for a good shaver at a good price for the better part of a year, ever since my trusty old Norelco 6737X finally gave up the ghost after more than seven years. Since the Norelco broke I have been managing with a “Microforce by Shavepro”, a tiny shaver originally intended for traveling use. It has served me well; the results are not stellar, but what can you expect for a shaver that cost $14? I was looking for something decent that didn’t cost the Earth. In the thirty-five-odd that I have been shaving, I have gone through many shavers. Most of them have been foil shavers. My favorite was a cheap little Remington that lasted about five years. 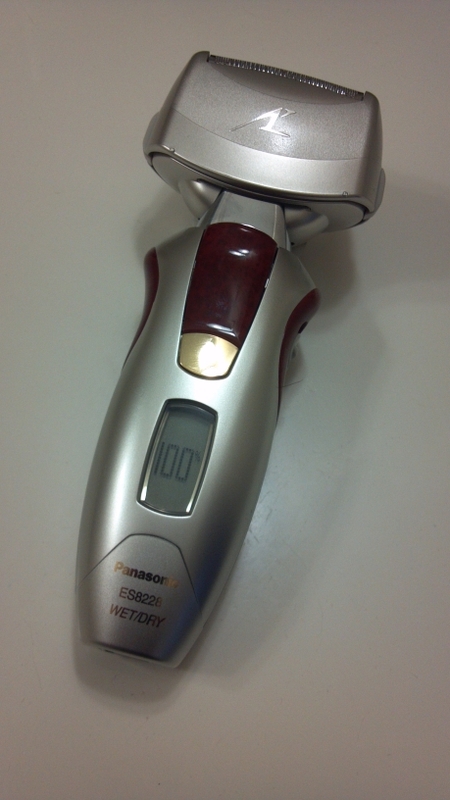 While the Norelco was the most reliable, buying it was a mistake; it was not particularly good for my face, and I had decided early on that the replacement would be neither a rotary shaver nor a Norelco. Since the vast majority of shavers in the stores was either one or the other, this restricted my options somewhat. When it comes to smoothness, wet-shaving (i.e.,with a razor) has always given the best results, but it has always left my face too sore to shave on a daily basis; so I generally use an electric for day-to-day, “good-enough-for-Government-work” shaving, taking out the razor for Sundays and important occasions. My current razor of choice is a Gillette Fusion, but I have a whole bunch of Gillette and other Cartridge shavers from bygone years littering my bathroom cabinet. The price of the cartridges is ridiculous – blades for the Fusion work out to about $4 apiece. Last month, I spotted this deal from NewEgg. With a RRP of $250 (who actually pays RRP? Nobody, I suspect) and a normal store price of $150, NewEgg was offering $30 off their normal price of $110. At $80 with free 3-day delivery, it seemed like a deal, so after reading a TON of reviews I went ahead and placed the order last Wednesday. There is also a $15 mail-in rebate, which will bring the price down to $65, though I am not counting on it. What the heck is "NANOTECH", anyway? The product box was larger and heavier than expected, but given what is inside, I shouldn’t have been surprised. 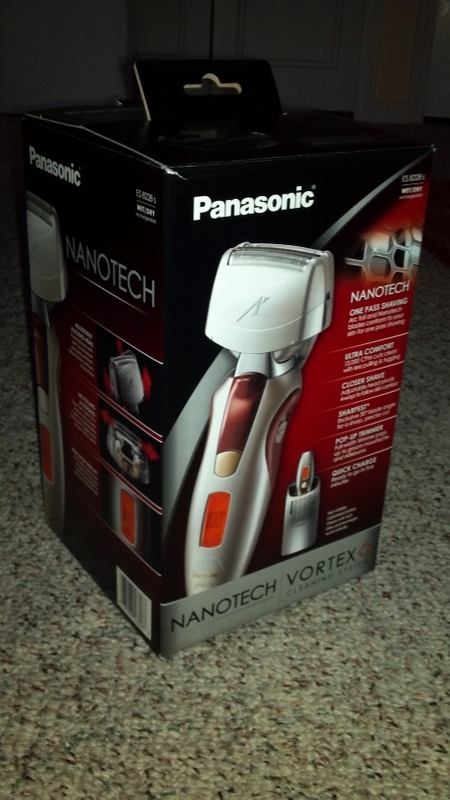 The box is covered with larger-than-life pictures of the shaver, along with lots of the predictable marketing fluff. After opening the box, the first thing I did was to take out the shaver and “perve” over it for a moment; this is the only shaver I have ever seen which has wood trim. It was also bigger than I expected. A cleaning/charging base (the wall charger plugs into this, or directly into the shaver). A wall-charger with an odd-shaped plug that fits the shaver, the base… and nothing else on God’s Green Earth. Way to go, Panasonic — let’s hear it for proprietary connectors! A plastic protective cap that goes over the foil/blade assembly. A cleaning cartridge containing what looks like dishwasher detergent (but probably isn’t). A multi-lingual manual with ten pages per language. And yes, you need to read it; the base has several different permutations of “clean”, “charge” and “dry”. A zipped leatherette pouch. Very nice, but I would venture that the zip was badly positioned; I would expect to be able to charge the shaver with the pouch almost zipped closed, but I supposed that is too much to ask for. The base: 4″ wide, 6″ deep and 6″ tall, and contains a tank that you fill with tap water. The cartridge fits in the bottom and the water is used to turn the detergent into a cleaning solution. It is supposed to last for 1-2 months; the detergent cartridges retail for about $5 apiece. At $30+ per year, this seems on the expensive side, but you don’t need to use it every time; the shaver has a built-in cleaning mode that is good enough for day-to-day use. Digression time: A word to the wise; to the average guy, the base makes for a wonderful piece of functional sculpture. If you are a single guy, this is fine; plant it, plug it in and enjoy. If, however, you are sharing a bathroom with a female of the species, prepare for battle or compromise; she will probably consider it an eyesore that that takes up half of her vanity. In her eyes, that space would be better used for… well, a bunch of items that most men cannot readily identify. And so your monstrosity will need to be relegated to a cupboard somewhere it cannot be seen. Fools will choose battle; veterans of such campaigns will know that the bathroom is hers, and you only enter that hallowed ground at her pleasure… Digression over; let’s take a closer look at the shaver, shall we? Cleaning mode: Press and hold the power button to engage “turbo mode” (an extra-fast mode used for cleaning). Floating heads, with a switch that locks them into position. The first use — a dry-shave with a little baby oil to smooth things along — resulted in an “OK” shave. Not great, just OK. Not quite as good as a blade, but better than the Norelco — and every other electric shaver I have ever owned. What was surprising was how comfortable my face felt afterward. No soreness, and so little discomfort that several times during the day I found myself checking my face, convinced that I had forgotten to shave. Sunday rolled around, and for the first time in ages my trusty old Fusion stayed in the cabinet. This time I took the new shaver into the shower, dabbed some shower gel on my face and went to town. As smooth and close as anything that the razor could do, but without the discomfort and soreness that I am so used to. One thing that I noticed is that when shaving difficult areas such as the neck, you get better results if you lock down the floating heads and use lots of pressure. Seven hours later, as I write this, it still feels smooth. The only negative thing that I can say is that the charge readout had dropped from 90% to 70%. This is not necessarily a disaster; since it only goes in 10% increments. Also, it is early days, and the battery may need several cycles to get up to speed..
Two year Warranty! In a world where warranties are heading down to one year (and in some cases, 90 days), this is a welcome change. Gorgeous looking — one reviewer referred to this as “The Lexus of shavers”, and they weren’t wrong. The wood burl finish did not hurt, either. One sheet of paper contains a price-list of parts. Some are quite reasonable, such as the plastic cap ($0.72) and the base ($40) — while others such as the blades ($26) and foil ($40) are ridiculous, particularly given that they recommend changing the blades every year and the foil every two. Fortunately these items can be purchased elsewhere for at least 30% less, which alleviates the pain somewhat. Bottom line: After a month of daily use, I have found it to be an able and enjoyable way to keep my face soft and smooth in a rough, hard world. Her Ladyship concurs. What were they thinking? You Decide. 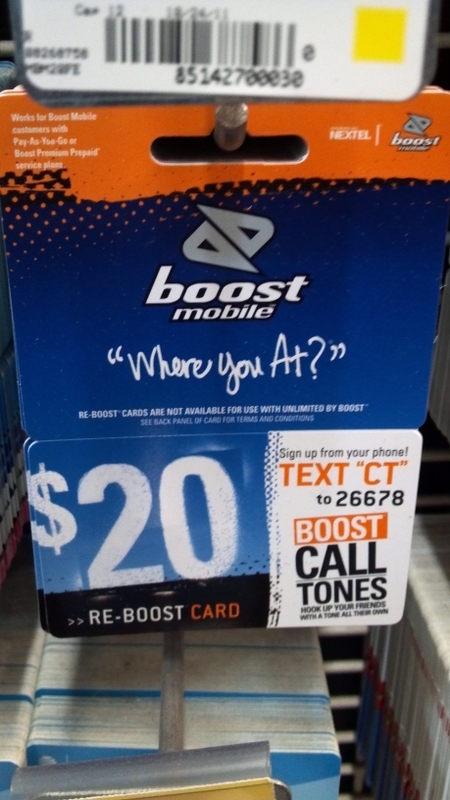 Here’s the delicious irony: One is booming, while the other… isn’t. I tithe. I have for over twelve years. I’m not trying to show off — it’s not a big deal, but it took me a while to figure that out. I was Treasurer of my church for a while. The experience was humbling — after seeing how much others were giving to the church, and comparing that with their lifestyles, I realized that “just tithing” made me “just average”. Some would argue that asking a church if it needs money is like asking a dog if it is hungry — the answer is always “yes”. And they’re probably right — but this is not about the church. And even though the church could single-handedly solve most of society’s problems if all of its members “just” tithed, it is not about tithing, either. It is about generosity. For me, tithing is a statement of priority — and a direct challenge to God to use the remaining 90% to meet our needs like he promised he would. He has yet to disappoint me. Some of you don’t tithe, or don’t want to — I get that. Find another way to be generous. Sponsor a child in a poor country. Find a local or national charity that aligns with your values. Do something constructive with your money other than spending it all on yourself — for generosity is the antidote to greed. And greed turns good people into self-absorbed clots of bitterness. We live in a society that preaches discontentment. We are told that to be successful we have to dress a certain way, drive a nice car, live in a fashionable part of town and make lots of money. And so we spend money we don’t have to buy things we don’t need to impress people who don’t care. And there is a multi-billion-dollar business dedicated to perpetuating the system by parting us from our money — or worse, getting us to sell ourselves us into financial slavery. Strong words, but what would you call it when someone hates their job? 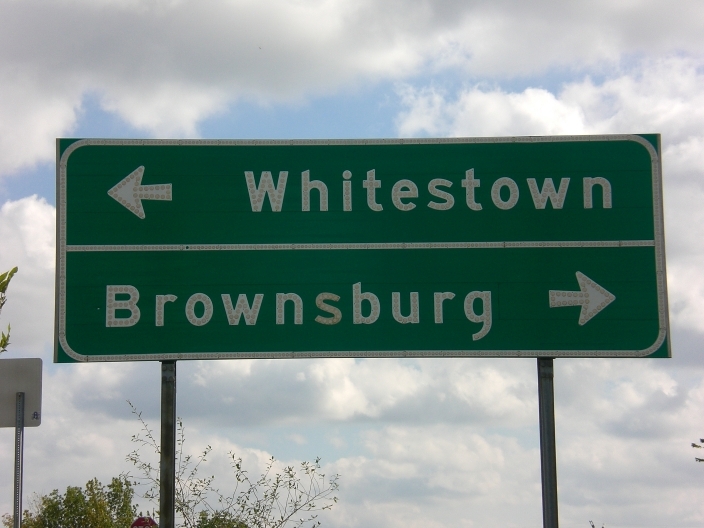 Fortunately I am not from around here, and when we showed up here we bought some fairly old-school ideas with us. Don’t buy anything on impulse. Learn to tell yourself “no”. Save up for big purchases. Buy used rather than new where possible. And never go into debt for stuff that goes down in value. But you don’t have to go far to find an excuse to not be generous. Too much debt. Too many payments. Too much month left at the end of the money. But in the end it is usually because we are trying to live beyond our means rather than within them. If you are already there, perhaps it is time to amputate something. If you can afford beer/cigarettes/lottery tickets/cellphone/cable TV/iPad/PS3/DS3/Xbox/etc, don’t talk to me about “the downtrodden 99%” and how hard life is. While some folks are genuinely suffering, a great many “victims” are reaping what they sowed — like the young couple who bought a big expensive house they could barely afford… and then she got pregnant. Or the young dude who signed up for payments on a shiny new sports car… and then lost his job when his employer downsized. Or the man who gambled his house to expand his business with borrowed money… and lost. All sad stories, mostly self-inflicted, usually preventable. No savings, no emergency reserves, no “what-if?” thinking, no contingency planning. Blue-sky thinking that denied the existence of a rainy day. As for us, we have no debt besides our house. Two paid-for cars, ten and nineteen years old. A simple, risk-averse lifestyle. Our biggest expense is food — good food is expensive, but it is better to pay the grocer now than the doctor later. All on one slightly-higher-than-average salary. There are plenty of two-income families who make more than I, but we live well enough on one. A friend raised six children on one salary. If you believe the talking heads on TV, this should not be possible. The way I see it, the problem is not a lack of money, it is a lack of focus. Bad things happen when you are not paying attention — things like missed payments, late fees, interest, accidental overdrafts. Money fights and money problems cause more divorces than infidelity. I am incredibly fortunate to have a wife who isn’t fighting for control. We plan out our finances, discuss needs, make plans and agree on the priorities. Neither spends without checking in with the other. And sometimes we tell each other “no”. Tithes, food, utilities, mortgage, transportation, savings, generosity. Those are our priorities. Show me your bank statement and I’ll show you yours. Spotted this at a local supermarket. Yo Blerd, what it be like? I recently sold a couple of items on eBay. One went for $10+$6 shipping, the other was $20+$6 shipping. These were my first sales in nearly a year. I just got the bill for these two sales – In addition to the Final Value Fees that I was expecting, there were “Final Value Fees on shipping” that were introduced last April, when I wasn’t looking. eBay’s justification for these new fees was that some sellers were abusing the system by selling a $200 item for $1 and charging $199 for shipping. I hate it when sellers do that. I generally try to charge less than a dollar above actual shipping. Actual postage cost $4.90 and $5.83 respectively. But since I shipped using eBay’s built-in shipping mechanism, eBay knows exactly how much I paid for shipping… and they charged fees on it anyway. What they should have done is calculate the fee on the difference between shipping charge and actual postage cost. Thanks eBay, for reminding me why I stopped selling through you a year ago. It is not a mistake I will be making again – I’ll be selling elsewhere in future. eBay/PayPal is in desperate need of some serious competition to keep them honest.